The good people at Shout! 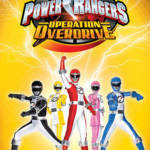 Factory have revealed the release date for the next Power Rangers Complete Series DVD release- Power Rangers Operation Overdrive! All 32 episodes of Operation Overdrive- including the special anniversary teamup Once A Ranger– will be released on August 8, 2017! The price is a very affordable $16.97 USD! 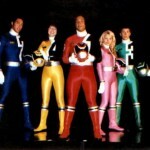 Twitch TV Power Rangers Marathon Announced- Covering All 23 Seasons! Twitch will be hosting a massive SEVENTEEN DAY marathon of Power Rangers, airing a total of 831 Episodes! This marathon will cover everything from the beginning of Mighty Morphin through the end of Dino SuperCharge. The Twitch TV Power Rangers Marathon will begin March 14, 2017 and can be viewed RIGHT HERE via TwitchTV Presents! To all you Power Rangers fans up north in Canada, specifically Toronto – great news! 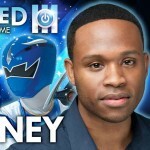 The folks of Unplugged Expo have dropped by to let us know that they have officially announced that Kevin Duhaney, better known as Ethan James the Dino Thunder Blue Ranger will be attending as a special guest at this year’s show! He is joining their Power Rangers line-up with Johnny Yong Bosch (Adam the Mighty Morphin Black Ranger, Zeo Green Ranger, and Turbo Green Ranger). The Unplugged Expo takes place on September 27th and 28th at the Chestnut Conference Centre in downtown Toronto. Check out Kevin Duhaney‘s announcement video below! But they’re not done yet! They have one more Power Rangers guest to announce in the near future! To stay up to date on what’s going on, be sure to follow them @UnpluggedExpo on Twitter as well as giving their Facebook page a “Like”! And of course, don’t forget to visit the Unplugged Expo webpage for more special guest details, show details, and to register. Austin St. John Audio Q&A – 20th Anniversary, Future Conventions, and More! Austin St. John, better known as Jason Lee Scott the Red Mighty Morphin Power Ranger and Zeo Gold Ranger recently returned to the fandom after being gone for many years while serving as a medic in the middle east. Through his official Facebook page he has done another audio clip, this time answering some of the more burning questions that fans have been asking on his page. Why did he decline the 20th Anniversary reunion episode in Power Rangers Super Megaforce? What conventions will he be attending, and are any overseas? Would he be open to returning to the Power Rangers franchise? These questions and more are answered in this audio clip below! And many fans can’t help but notice a slight “dig” at Jason David Frank, which would stem from a long feud between the two actors which stem mostly from comments made redundantly by Jason David Frank at nearly every convention appearance. Check out this excellent audio clip below. 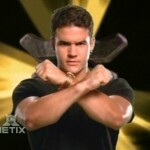 Back to Action with Austin St. John! In celebration of the 20th Anniversary of Power Rangers, we asked the users at TokuNation to rank who they thought the 10 Best Power Rangers were (with #1 being, of course, their top choice). We then took the nominations, what rank they were, and assigned each rank a certain numerical value that would allow them to be added and averaged in a fair way. In overwhelming fashion (literally more than twice the number that the #2 entrant received), the fans at TokuNation.com selected Jason David Frank – who played Tommy Oliver the Green Ranger and White Ranger from Mighty Morphin Power Rangers, the Red Ranger for both Power Rangers Zeo and Power Rangers Turbo, and finally the Black Ranger from Power Rangers Dino Thunder – as the Greatest Power Ranger of All Time. 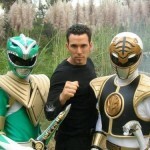 The character Tommy Oliver first appeared in the episode “Green With Evil Part 1” on Mighty Morphin Power Rangers. Tommy was the new kid in school and showcased an incredible, aggressive style of martial arts. He befriends Kimberly immediately, but as he’s supposed to meet her, Rita Repulsa appears and sends the Putty Patrol after him. Tommy is victorious, and Rita Repulsa decides that Tommy will be the one to wield the Dragon Coin and become her evil Green Ranger. Given the Sword of Darkness, Tommy overpowers the other Mighty Morphin Power Rangers. He separates the Red Ranger, Jason, away from the others and systematically picks them apart piece by piece, removing Zordon and Alpha 5 from the equation. Good always triumphs over evil however, and the Power Rangers restore Zordon, who shares Tommy’s secret identity with the team. Together, they destroy the Sword of Darkness, thus freeing Tommy from evil, and he, along with his mighty Dragonzord, join the team. At this point, Tommy is nothing more than reinforcements – while he will fight with the others in civilian form, his only scenes in the Green Ranger costume are to call forth the mighty Dragonzord to aid the others. However, Rita Repulsa uses the Green Candle to absorb Tommy’s powers. The others are unable to destroy the candle, and Tommy has to give his power coin to Jason, thus leaving the team. But when you’re the Best Power Ranger of All Time, you never get to leave for good. When the other Power Rangers had their parents kidnapped and they were duped in to giving up their Power Coins, as well as losing the Dragon Dagger to Goldar, they brought Tommy back as their only hope for salvation. Zordon infused his own energy with the Green Power Coin, and Tommy’s Green Ranger powers were restored, at least for small bursts of time. As soon as he grabbed the box containing the Power Coins, his body absorbed the energy from the force field and restored his powers. Tommy, and the Green Ranger, were back! Sadly, the Green Ranger powers were limited and destined to run out, this time for good. When Lord Zedd ousted Rita Repulsa and took over, he made it his primary goal to eliminate the Green Ranger once and for all. He would succeed, draining all of the Green Ranger energies, but not before Tommy saved the day one last time. With Lord Zedd stronger than ever, the Power Rangers knew they needed another 6th Ranger. Unbeknownst to the team, Zordon and Alpha 5 create the White Ranger, and in one of the most watched children’s television shows of all time, White Light Part 2, the White Ranger is revealed to be Tommy, his powers created completely from good powers and bestowed as the new team leader. With Tommy as the White Ranger and leader of the Mighty Morphin Power Rangers, they would defeat Lord Zedd and Rita Repulsa time and time again. When Goldar and Rito Revolto manage to destroy the Command Center, along with the arrival of the evil Machine Empire, Zordon uses the powerful Zeo Crystal to create the Power Rangers Zeo, with Tommy becoming the Red Ranger. When the evil space pirate Divatox arrives on Earth, Zordon creates the Turbo Powers to combat this new threat, giving creation to the Power Rangers Turbo. Tommy would continue to lead as the Red Ranger until he, and the others, decide that it’s time to pass on the power so they can continue on with the next phase of their lives. Tommy, as a race car driver, would leave the Power Rangers for many years (and miss out on some of the biggest battles!). When General Venjix, a leftover from the evil Machine Empire, surfaces and attempts to restore Lord Zedd‘s personal zord, Serpentera, Tommy gathers a team of veteran Red Rangers to come together and destroy the Machine Empire once and for all in the episode “Forever Red”, which acted as the franchise’s 10th Anniversary special. During all this down time, Tommy went to college and become a doctor of paleontology. He discovered the Dino Gems, mysterious jewels taken from the asteroid that crashed on Earth and killed the dinosaurs. When an evil creature known as Mesogag appears, Tommy knows he has to harness the energies of the gems to create a new team of Power Rangers. Three of his high school students stumble in to his secret lab and bond with the gems. With Tommy’s help, they morph in to the Power Rangers Dino Thunder, and Tommy is thrown in to the role of a mentor to his new team. But when he detects the presence of a fourth gem, Tommy goes to inform his students when he is kidnapped by Mesogag, who wants Tommy to show him how to free the Dino Gem from it’s prison. Through a twist of fate, Tommy ends up bonding with the gem and morphing in to the Dino Thunder Black Ranger, stating that he “might be old, but can still pull it off”. In one of the most beloved episodes of the entire franchise, Tommy winds up in a coma, fighting for his life, and ends up fighting his former incarnations – the Mighty Morphin Green & White Rangers, as well as the Zeo Red Ranger. Victory means life, defeat means death. When all is said and done, Tommy implies that he will stay in Reefside and continue teaching. But you can’t keep the Best Power Ranger of All Time down. When The Armada overpowers the Power Rangers Super Megaforce, Tommy will once again take up the power to help save the world. Tommy will return as the Mighty Morphin Green Ranger in the series finale of Power Rangers Super Megaforce, airing in late 2014. Jason David Frank is the actor who played Tommy Oliver for more episodes in the franchise than any other actor or character. Jason David Frank is a 7th degree black belt, an inductee in to the World Karate Union Hall of Fame, a Guinness Book of World Records record holder, an undefeated MMA Fighter, owner of the Rising Sun Karatae schools, creator of the clothing brand Jesus Didn’t Tap, an accomplished sky diver, an actor, a husband, a father, a reoccurring guest of the Wizard World convention circuit, and according to our users, The Best Power Ranger of All Time. Congratulations Jason David Frank. That was the list that YOU, our users, voted for! Thank you again so much for your participation in our celebration of the Top 20 Best Power Rangers of All Time in honor of the Power Rangers 20th Anniversary. Maybe we’ll revisit this for the 25th. Maybe. Thanks again, and congratulations to our Top 20! TokuNation Users Select Chris Violette (SPD Blue) as 18th Best Power Ranger! 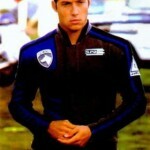 The users of TokuNation.com have voted Chris Violette, who played Sky Tate the Blue Ranger on Power Rangers S.P.D. as the 18th Best Power Ranger of All Time! Click the title bar to read up on the character known as Sky Tate, as well as what’s up with the actor who played him, Chris Violette! And we have images to go along with it too! What are you waiting for? Check out one of the Disney era favorites by clicking the title bar!